Large 3.75″ gray chalkboard shatterproof bulb. A unique take on the traditional Christmas bulb with gray chalkboard paint on a shatterproof bulb. These ornaments are ready to be fully customized with family names, milestone phrases, or favorite sayings. Order one personalized for your family or create the perfect one-of-a-kind gift for a special friend or treasured teacher. 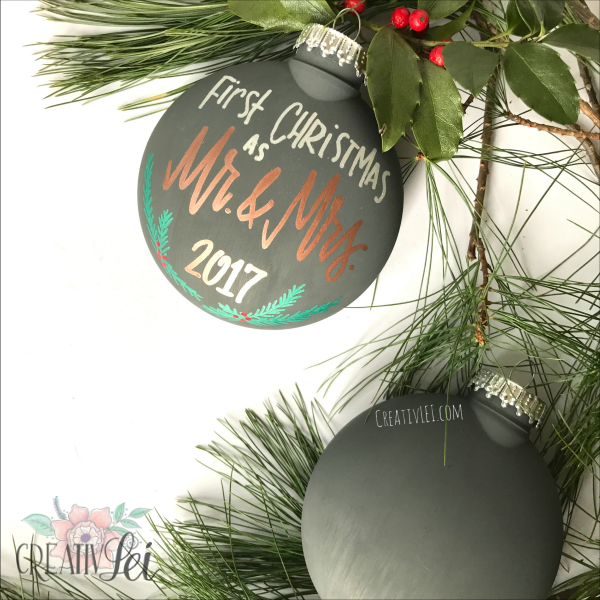 The entire ornament has been treated with chalkboard paint and both sides of this round bulb can be personalized with whimsical doodles and hand-lettered in modern calligraphy.